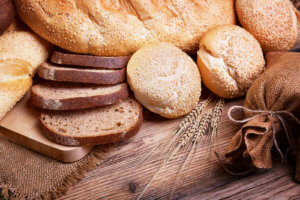 A famous bread market and a leader in the German bread and bakery market has increased licensing of Plus Technologies‘ OM Plus software. This company started in 1688 with a small bakery in Hamburg-Altona, Germany. Today, with nine production sites, 45 distribution centers, 750+ printers, and 4000 employees they are the most famous leader in the German bread/bakery market. Additionally, in 2015 their sales were approximately 950M EUR. This bread market is using OM Plus software to manage delivery of a UNIX print stream to a 3rd party “e-forms” product. OMP will confirm delivery to the printer and confirm completed print jobs. Moreover, our software will ensure that documents are printed correctly and without any missing pages. The OM Plus print software archive module will provide fast and easy access for stored documents. In addition to confirmation, OM Plus provides tools to recover in case of error. Plus Technologies‘ OM Plus Suite is our output management and print management software product portfolio. It consists of multiple software products each designed to solve a specific kind of output management problems. Each product in the OM Plus Suite can stand on its own. However, integration between our products is possible. Moreover, this integration can be quite helpful to solve unique document related business problems. Plus Technologies is very experienced in solving document process related business problems with our print management software. Our Services team will listen carefully to our customers to fully understand the requirements. In addition, we work collaboratively with the customer to design the right solution and assist in customer testing to prove the solution works as it should. Furthermore, Plus Technologies will customize solutions for individual needs and will be involved in implementations and train users on how to get the most of the solution.